Oxygen and Respiratory Care were our earliest services, and the foundation for our home oxygen program. Our clinical expertise has guided us in selecting the oxygen equipment for your use at home, and portable use. We understand what the clinical requirements of your physician’s orders are, and how to best meet your individual needs for convenient daily usage. A Registered Respiratory Therapist will instruct you, family members and caregivers in the safe, proper use of all equipment, and any routine maintenance. Most importantly, we will listen to you so that we can tailor our services to also meet your individual needs, abilities and concerns. We focus our services as solutions to your prescribed needs. 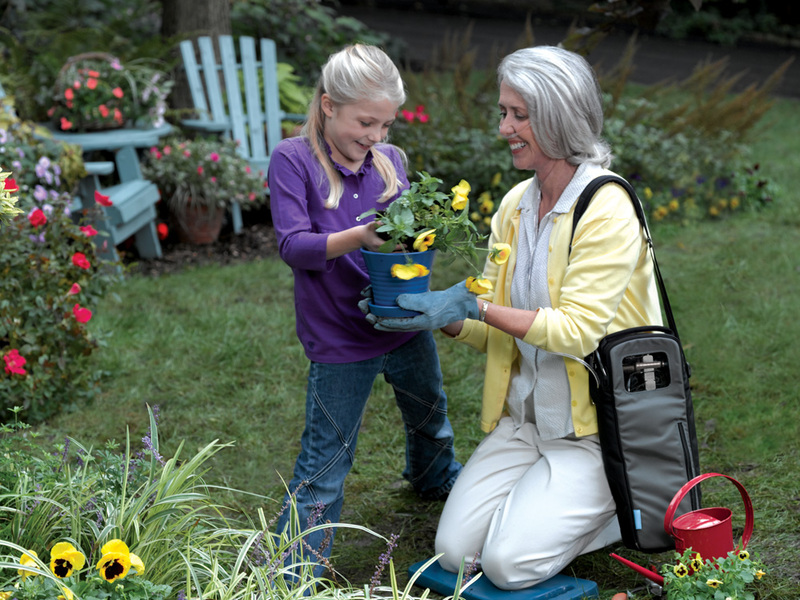 We provide the most advanced and convenient technology for home oxygen therapy, the Philips Respironics EverFlo Quiet Oxygen Concentrator. Portable oxygen equipment will be chosen for ease of use and clinical appropriateness, and may include the use of an UltraFill home fill system. As with all our equipment, “patient-friendliness” and ease of use are primary features, giving you the freedom that you want.